After a day in the hills or walking along the coast there is nothing better than kicking off your walking boots and enjoying a well-deserved rest. Somewhere to put your mucky boots, get out of your wet gear and have a hot shower is essential but why stop there? With loads of accommodation situated right beside the walks boasting fantastic views the awe inspiring scenery doesn’t have to stop once your boots are off. The highest and most dramatic mountain range in Northern Ireland, the mountains themselves are criss-crossed by an unrivalled network of paths and tracks, providing enthusiastic walkers with incredible opportunities for exploration. Download your free walkers guide to the Mournes. 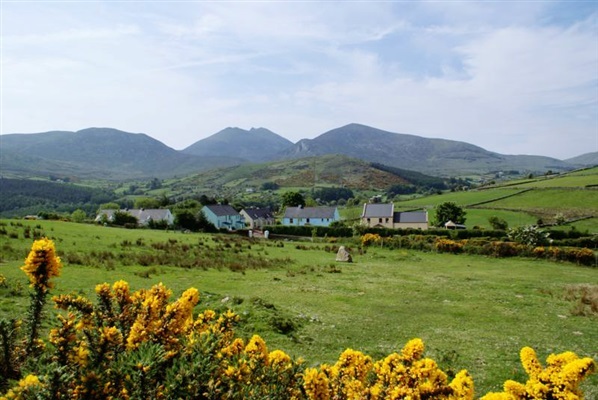 9 traditional self-catering country cottages in extensive mature grounds with spectacular views of the Mourne Mountains. An open fire will welcome you back after exploring on foot. Just 2 miles from Tollymore Forest Park which the Mourne Way runs through and minutes from a whole host of hikes in the Mournes. Situated at the foot of Slieve Donard (Northern Ireland's highest peak). This deluxe 4* hotel with spa is the perfect place to unwind after conquering some of the highest peaks. A golden strand of beach borders one side with the majestic Mourne Mountains providing a welcoming vista from the hotel. Situated in the quiet village of Dundrum, this fine Georgian Building has been lovingly restored in a classic yet homely style. A particular highlight is the rooftop terrace providing a magnificent view of Dundrum Bay and the Mourne Mountains. Comprising of seven fine old restored heritage cottages this award winning community development provides comfortable self-catering accommodation in historic surroundings, on the banks of the Kilkeel River. 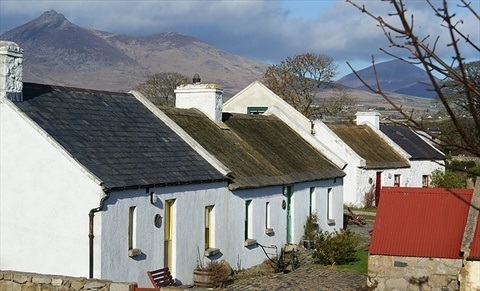 The cottages retain many of their old features each with its own unique appearance and outlook over the nearby mountains. The North Coast and Antrim area is justifiably famous for the Giant’s Causeway, wonderful coastlines and a unique natural beauty. Download your free walkers guide to the North Coast and Antrim. 5 star self catering accommodation just 1 mile from the village of Bushmills, home to the world’s oldest licensed whiskey distillery and half a mile from the Giant's Causeway. Staying here you’ll enjoy unrivalled views over the Giants Causeway, the sleepy seaside village of Portballintrae and the sweeping Donegal Coastline beyond. Located on Ballycastle seafront and only 4 minutes walk from the Rathlin Island ferry terminal this hotel is an excellent base to experience the fabulous coastal walks in the area and on the island. The most northerly inhabited island in Ireland, Rathlin boasts just under 20 miles of walking trails with stunning coastal views. A 2 minute walk from Portstewart promenade, and a 15 minute walk away from Portstewart Strand; this family run B&B is not short of breath-taking views. With The Giants Causeway, Dunluce Castle, Bushmills and Carrick-a-Rede Rope Bridge all a short drive away the seaside town of Portstewart is a great base for enjoying the many walks in the Causeway Coast. The Sperrin Mountains, stretching along the border of counties Tyrone and Derry, can best be described as wild, untouched and beautiful. This 5 star self-catering cottage sits on half-acre of private grounds with excellent views of the surrounding mountains and farmland. Hear the trickle of the stream running off the nearby mountain which borders the property and make the most of the maps and info on the area which you’ll find on arrival. 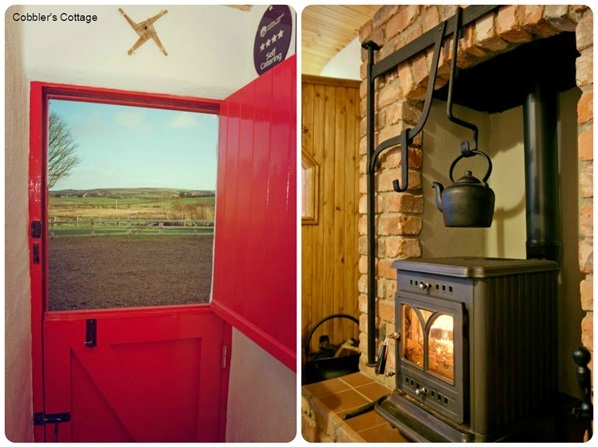 A newly renovated 200 year old traditional Irish cottage in peaceful surroundings, at the foot of the Sperrin Mountains this self catering cottage is a great base for exploring the hills as well as some fantastic walking in nearby Gortin. Whilst Fermanagh is renowned for its lakelands, the first destination for any keen walker should be Cuilcagh Mountain, the highest summit in the County. This area is part of the UNESCO endorsed Marble Arch Caves Global Geopark due to its unique geology and spectacular landscapes. Situated on a private location on Upper Lough Erne this 4 star self-catering property boasts 40 acres of farm land and a private loughshore. A short drive of 10 minutes takes you to the walking highlights of Cuilcagh Mountain, Marble Arch Caves Geo Park or more gentle walks such as National Trust property Florence Court. Alternatively, walk the back roads of Upper Lough Erne to local pubs from the door of the cottage. OS maps available and Walking Guide available by arrangement. 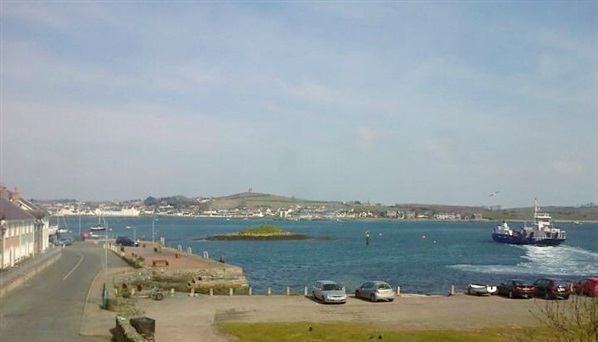 At 150 km² Strangford Lough is the largest sea Lough in the British Isles and is a haven for wildlife. Strangford Lough's shores are also home to some of the finest country estates, parklands and walking trails in Northern Ireland. Originating in Norman Times 'Harbour View' was once a Tower House where merchants watched for sailing boats arriving with their goods at Strangford quay the house has recently been restored to provide comfortable self catering accommodation with wonderful views over Strangford Lough. Check out WalkNI.com for a full list of Walker-Friendly accommodation offers. Cycling Ulster’s leisure road cycling calendar is already jam packed with events for 2015, so whether you are a serious cyclist or a novice wanting to cycle their first sportive there is plenty to choose from. These non-competitive events, otherwise known as sportives or leisure events, are normally run by cycling clubs and charities and offer a great way for cyclists to come together and enjoy a leisurely day out on the bike whilst also pushing themselves at the same time. Dromara Cycling Club, a club well known for its friendliness and professionalism at delivering events, host the ‘Dromara Coastal’ every year which takes in the beautiful scenery along the County Down coastline and the shores of Strangford Lough. There are two routes available – 60 and 80 miles – and is a great introductory event for leisure riders. 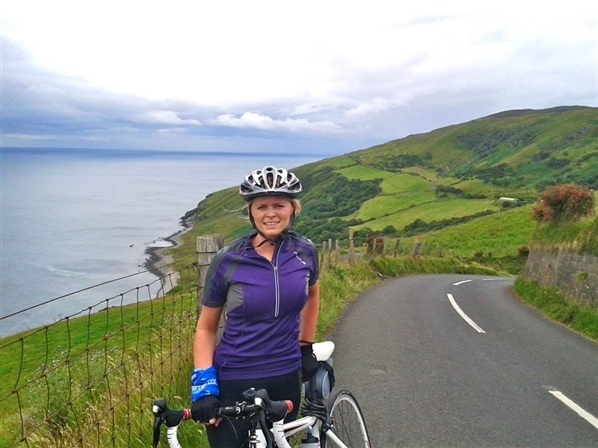 This 55 mile ride is organised by the Kilbride Cyclists cycling club and follows roads around County Antrim. With only one route on offer you can expect a fair amount of hills at this event! 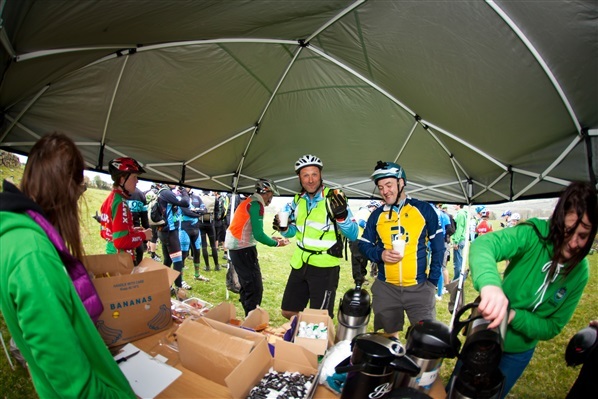 After around 30miles and just after a quick descent into Glenarm you will then be welcomed with a variety of homemade sandwiches, buns and cakes and oodles of tea and coffee at their feed station. Back on the bike for another 20 odd miles to the finish line where a BBQ awaits you and a well-earned cuppa! The Tour of the Orchard County is a sportive organised by the Armagh Tigers, a charitable trust set up six years ago and by a group of Armagh business people with a long history of fund-raising for local charities. On the day there are two routes (36miles & 68miles) around the Orchard County of Armagh passing many historical points of interest along the way. 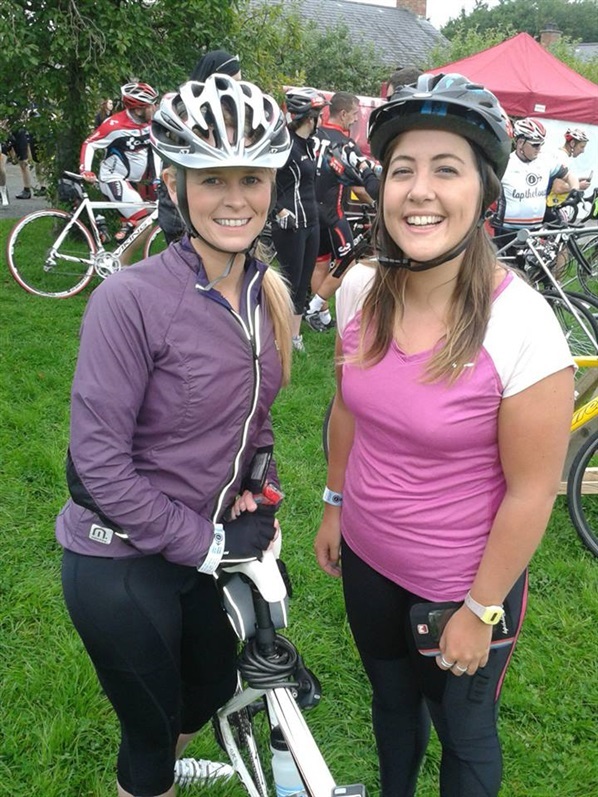 We opted for the shorter 36mile route and were joined by array of cyclists of varying abilities. Half way round there is a small feed stop where you can pick up just enough to see you through to the finish line where a very well deserved burger and chip awaits you! The Maracycle is a well-known event where participant’s cycle between Dublin and Belfast in support of Ireland’s leading peace building charity, Cooperation Ireland. Due to lack of training, on the day we decided to take part in a section of the route from Belfast to Newry which meant we cycled around a total of 40miles (a bit of a cop out compared to what the other participants had ahead of them!). The camaraderie of the participants is what definitely stands out about this event and is probably what spurs people on to complete the longer distances. In Newry (which was the finish for us) we received a commemorative t-shirt and medal, which was a nice touch. Many cyclists debate the hardest leisure events in Ireland and normally the Dromara Hilly will get a mention because of its notorious climbs. However, there are a variety of routes which should suit as many people as possible (105miles/77miles/52miles/37miles). On the day of the event there had been torrential downpours from the early hours of the morning so initially we were to complete the 52 mile route but then only ended up completing around 40 miles in the horrendous weather conditions. Over half way in you’ll be greeted with a fantastic feed station at Leitrim with sandwiches, buns, yoghurts plus lots more and then when all the hard work is done burgers are given out to all finishers. To help guide you along the way and to offer some kind words of encouragement you’ll see Dromara CC club members dotted along the route. Lap the Lough is on every cyclists list of events to complete, an event that circumnavigates Lough Neagh and started in 2006. A friend and I entered to complete Lap 9 which took place in August 2014. On the day of the event there was a feed stop every 20-25 miles which was a great way to breakdown the distance of 85miles – a distance which I’d never cycled before. The route is also fairly flat so it’s not that demanding, the most important thing is making sure you feel comfortable on your bike because you could be on it for around 5-7 hours. Half way round there was a lunch stop so we could stock up on some soup and a roll and at the finish line there were yummy wraps for everyone. The Giant’s Causeway Coast Sportive is held every September with many club cyclists considering it as their end of season sportive and one to train for because of the infamous Torr Head Road on the 80mile and 115mile routes. Luckily for me there was a shorter option (35miles) that avoids the Torr Head but follows the beautiful Coast Road as well as through the magnificent Dark Hedges instead. The scenery, the friendly atmosphere and the banter between participants are definitely what make this event plus the hot spicy chicken pasta that was laid out for everyone at the finish line. Entering these type of events is a great way to not only motivate yourself to get out on the bike but also to meet like-minded people. One event worth considering this year is the much anticipated Gran Fondo, a legacy event from last year’s Giro d’Italia which expects to attract up to 4,000 participants. There is a 36 mile route, which would be ideal for beginners or a 109 mile route, suitable for more experienced cyclists. It is a good idea to carry out some preparation before you take part in any event in order to make it as memorable as possible! Make sure to check your bike so that it is in good working order and it is also very important to check the weather forecast so you can prepare what you will wear on the day. Some things you will need on the day are your water bottle, some snacks, cycling gloves, shoes, helmet, some money and your mobile phone. 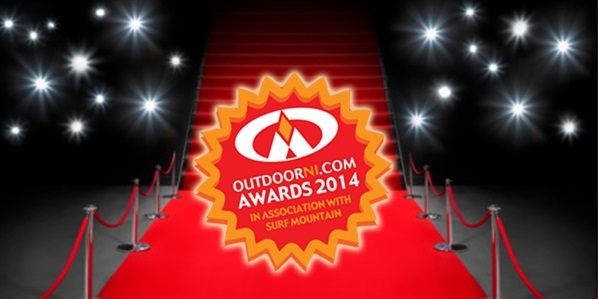 Its time to roll out the red carpet on the 2014 OutdoorNI Awards in association with Surf Mountain. With over 1200 votes cast by the public on OutdoorNI.com's Facebook Page, the awards saw nominees battling it out throughout December to win the coveted titles. We are now pleased to annouce that the wait is finally over and without further ado we give you the 2014 OutdoorNI.com Award winners. Start planning your fun filled family adventure day in the great outdoors with Life Adventure Centre. Clearsky Adventure Centre scooped up the award for 'Best Unique Outdoor Experience' in this years award for their new Game of Thrones Archery Experience. Group Operations Manager for Clearsky, James McKay expressed his delight and shared what makes this experience so unique, “The fact that Game of Thrones was filmed on location at our centre in Castle Ward has allowed us to provide an experience unlike any other. We have put a lot of time and effort into ensuring the authenticity of the experience from realistic props to character costumes to help customers feel the part." Click here for details of how you can experience the Game of Thrones Archery Experience frist hand. The activities and tours mentioned above are independantly operated by Clearsky Adventure Centre. They are not sponsored, endorsed, or affiliated with HBO or anyone associated with 'Game of Thrones'. "Our team are passionate about making surfing accessible to everyone and we believe this, coupled with the fact that all our lessons take place in the fantastic Binevenagh Area of Outstanding Natural Beauty is what has helped us achieve the ‘best coastal experience’. We look forward to getting as many people as possible riding the waves, experiencing the lifestyle and enjoying the area with the Long Line team at both Benone and Portstewart in 2015. Many thanks to all who voted for us!" Book a lesson with Long Line Surf School and start planning your next seaside adventure. "There is no doubt that the route is a challenge but we believe the fantastic scenery coupled with a great atmosphere amongst the walkers and the opportunity to raise vital funds is what drives people to complete the challenge." The date for this year’s event is set for Sat 19th September phone: +44(0)28 90351135 or email: northernirelandappeals@nspcc.org.uk for information. Get your heart rate pumping at Todds Leap Activity Centre this year. Racing ahead for a second year to win 'Best Challenge Event' 26 Extreme proudly accepted the award. The Mourne Way Marathon takes place annually in June with participants able to choose from a 10k right up to a gruelling 52 mile ultra marathon all set within the Mournes Area of Outstanding Natural Beauty. On winning the award Ian Cummings from 26 Extreme expresses his delight by commenting, "We at 26 Extreme believe that a combination of aspects set our event apart such as offering a variety of race distances, a dedicated support team on the day and simply unparalleled scenery here in the Mourne Mountains”. Winning the award for 'Best Glamping Experience' the Camping Pods set in the heart of Castle Ward estate, have quickly become a firm favourite for those looking for a campout with a difference in Northern Irleand. Jacqueline Baird , Visitor Services Manger from the National Trust explained why she believed the pods have been so popular, " Our glamping pods not only offer visitors a unique way to spend a night or short break but also allow those who stay in them to have an unforgettable experience in the great outdoors, without having to give up all of their home comforts. 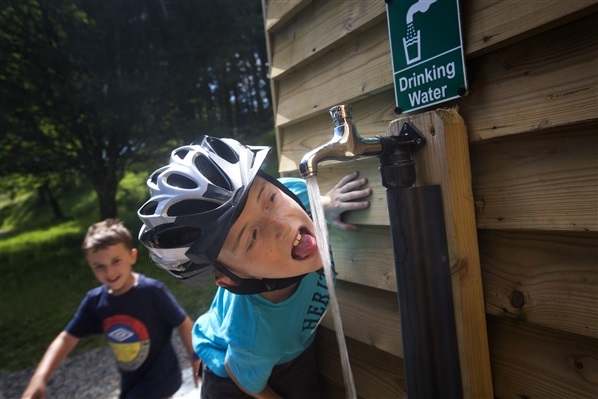 With a twenty-one mile network of multi-use trails, the stunning Strangford Lough and an 18th-century mansion all on the doorstep of the camping pods, we believe it is the unique setting which helps make them so popular”. Click here for details of how you can spend a mini break with a difference in Castle Ward camping pods. The summer may now be a distant memory however just because the days are shorter and the temperatures have dropped doesn’t mean that the bike has to be put into winter hibernation. 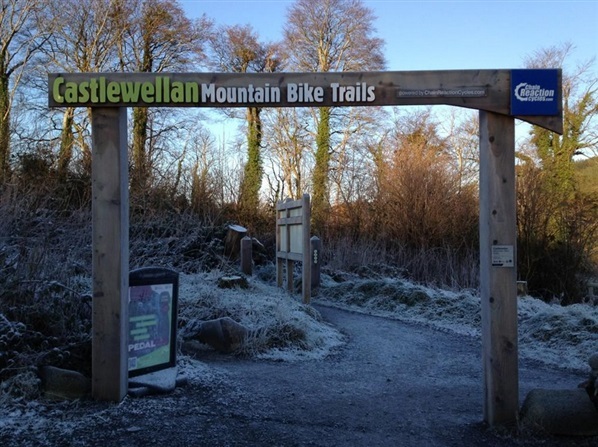 Northern Ireland has a great number of purpose-built trail centres which give us the opportunity to get out and ride at any time of the year. Winter and Summer riding do however have their differences so here is a little Summit Mountain Biking guide to make sure you get the most out of your winter mountain bike adventures. Winter can take a toll on your pride and joy. If you haven’t ridden much since the summer give the bike a good service. Winter mud and trail centre grime will play havoc with your gear cables and brake pads so make sure these are fresh. Mud guards will keep your face fresh and your rear dry which is always a good investment! There are a good range of ‘temporary’ Enduro style guards on the market at the moment which are worth having a look at. 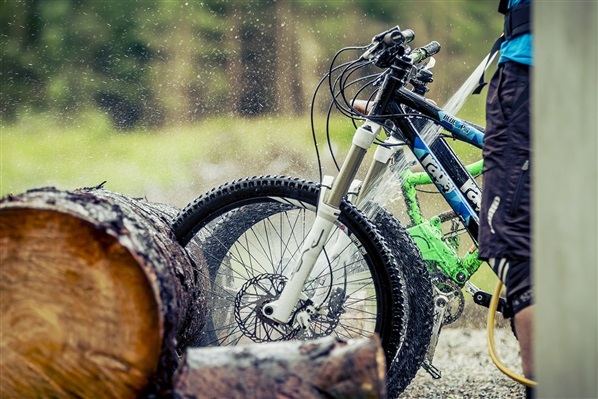 Keeping warm and dry is vital for making sure you have a great day out on the trails. Whether you prefer the lycra or the baggies option for kitting yourself out, make sure you have a good thermal base layer which is warm AND sweat wicking to keep the heat in and add in a windproof outer layer for those dry and chilly days to keep the cold out. 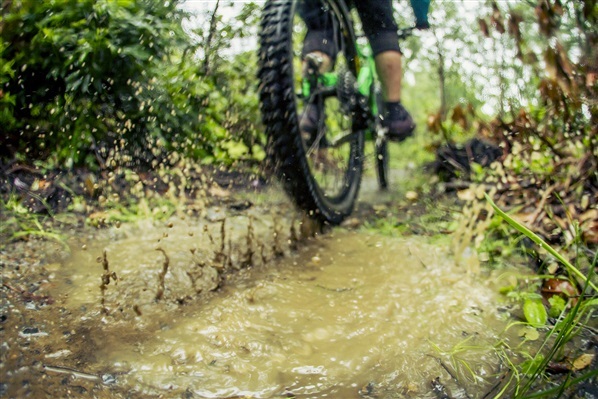 Northern Ireland's Mountain Bike Trail Centres are great for access all year round and are ride-able in all types of weather conditions, however they often tend to puddle in areas of heavy breaking or jumps. Whether you are braving the elements or hitting the trails after a wet spell a good waterproof jacket, shorts, gloves and socks will help keep the cold and wet at bay, there’s nothing worse than getting half way down a descent and realising you can no longer brake because your hands are wet and frozen or you can’t feel your feet! 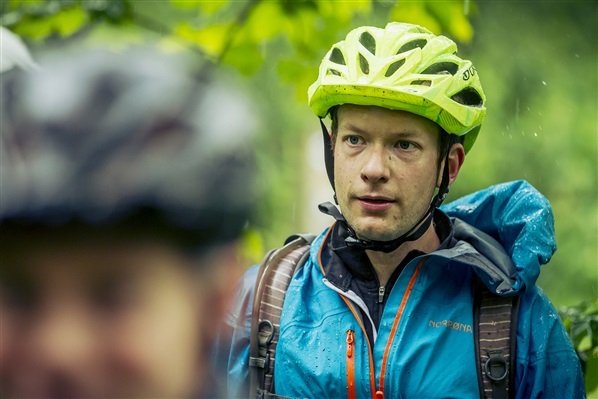 With more water and mud on the trails and colder air in the winter, look after your eyes. If you haven’t already treat yourself to some eyewear, yellow or clear lenses are great for this time of year and many companies supply multi-lens combos to suit changing conditions. Winter riding is a great way to hone your bike skills and keep your fitness levels up in preparation for the spring and coming summer. If you are aiming to increase your fitness and perhaps shed some of the Christmas kilos start off small and gradually build your bike time, for example if you are only used to riding for 1 – 2 hrs at any one time, start off with this and gradually build up to 2hrs – 3hrs of steady riding over the next few months. The same applies with climbing hills, break the hill up into smaller manageable chunks and gradually aim to reduce these until you can manage the entire hill in one go. Riding at this time of the year often involves riding over wet roots, rocks and mud which brings a whole new set of skills into play. Winter riding is all about smooth bike handling as any sudden jerky motions while cornering in mud or riding over wet rocks or roots will likely send you off course. Practice your line selection, un-weighting the front wheel over obstacles to help keep the bike moving smoothly, gear selection and smooth pedalling to keep momentum going and lifting that front wheel to clear puddles. If you can get your winter wet riding dialled in then come the dry summer trails you’ll be ready for anything. The same requirement for pre, during and post ride nutrition for summer riding also applies to winter riding. It is important to make sure you are well fuelled before your ride as it is difficult to “catch up” once you are out and about, running out of energy and getting the dreaded “bonk” during the cold winter months is harder to manage at this time of year as your body works harder to stay warm. Carbohydrates are the main source of fuel for bike riding so making sure you have included some good quality carbohydrates with your regular week day meals (potatoes/rice/pasta etc) and a carbohydrate meal (e.g. porridge) 2 – 4hrs before your ride. During winter the cold weather can often supress your appetite especially when the main concern is to keep warm and moving. If you are riding for over an hour or are hitting trails with killer hills before those long sweeping descents aim to eat between 30 - 60g of carbohydrates an hour. Try and make your riding food as natural as possible e.g. bananas/fig rolls/Naked or Trek bars and keep the gels and energy bars for race day or as an emergency for un-expected energy crashes. Hydration is also as equally important, many riders think that because it is colder their water needs are lower or they don’t feel as thirsty, however if you are properly wrapped up for the weather you will probably sweat just as much as during the spring or even summer. Aim for about 500ml of water per hour and include some electrolytes either as part of your nutrition or through a sports drink. Follow these few simple tips and your winter bike riding will be more enjoyable leaving you fit, fast and ready for a summer of shredding. Looking forward to seeing you all on the trails!